Math spider craft for multiplication by 8. Co-ordinates with Charlotte's Web, and is perfect for second or third grade. Common Core aligned. "Your pet spider bit me!" My sister was really upset. Although I didn't officially keep spiders as pets while we were growing up, I was always friendly with them. I figured that anything that killed insects was a friend, and they really fascinated me. No wonder, when I came across Charlotte's Web by E.B. White, I was absolutely enthralled. It always struck me how the animals were indifferent to the plight of the poor pig, until the spider decided to take pity on the much larger animal. Charlotte, uses her ingenuity to pull together all the animals to save Wilbur. If you're using this classic story of compassion in your classroom, it's a great opportunity to pull in a little STEAM and do some creative practice in multiplying by eight and writing number sentences. 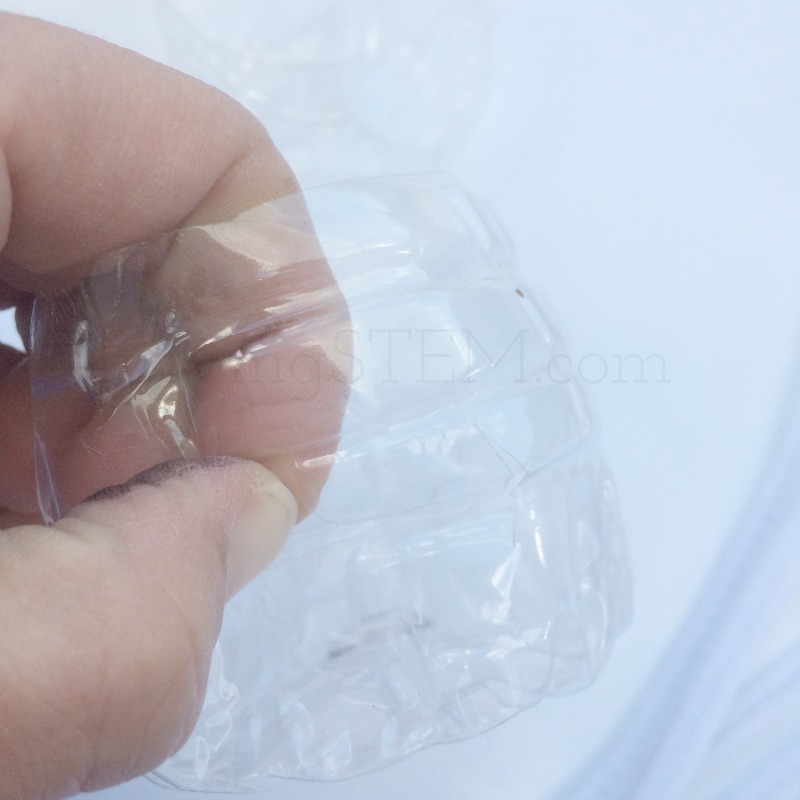 the bottom cut from a water bottle for each student. I recommend pre-cutting the eight small holes ahead of time if possible. eyes (optional) If you're working with a small number of students, you can hot glue googly eyes. If working with a larger group, stickers would work well. Placement for eight small holes. 1. Instruct the students to insert the four pipe cleaners through the wholes in the water bottle to make the spiders legs. 2. 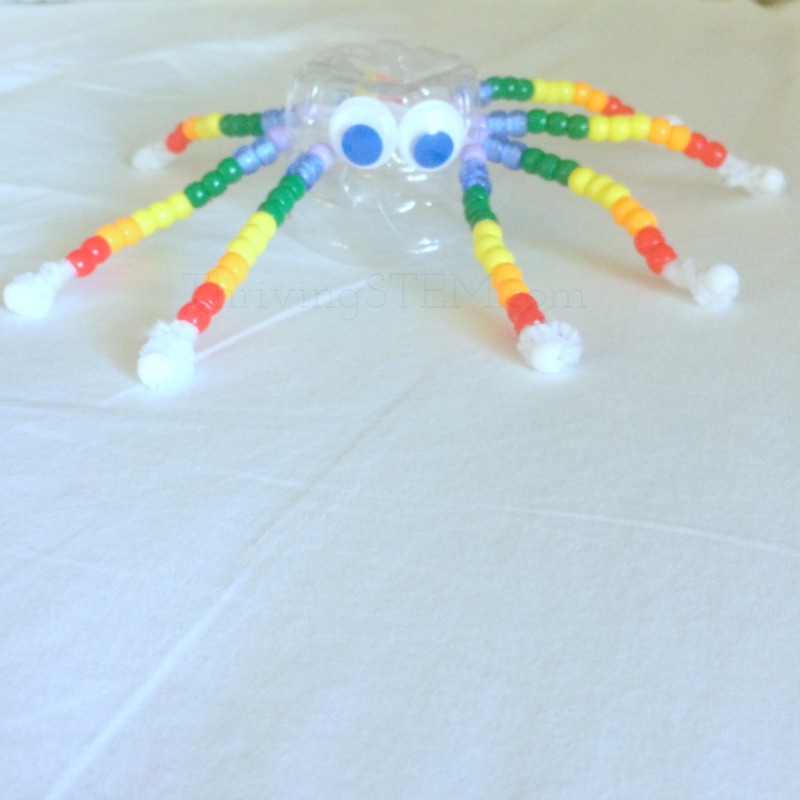 Instruct students to use the beads to decorate their spiders. Each leg must be exactly like the others. 3. 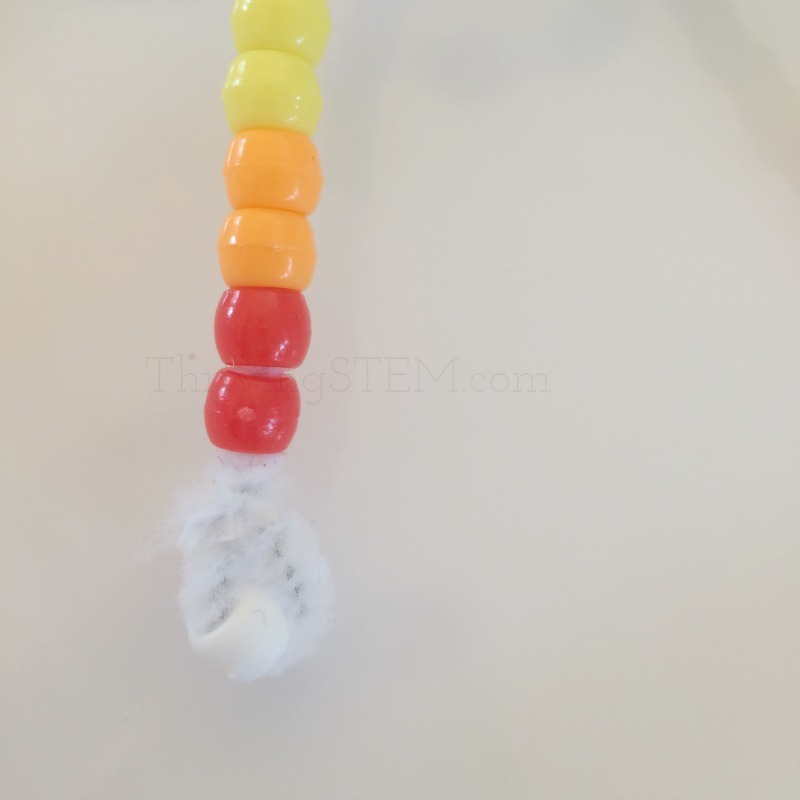 As the students finish, twist the pipe cleaner back on itself just above the last bead so that all the beads are secure. 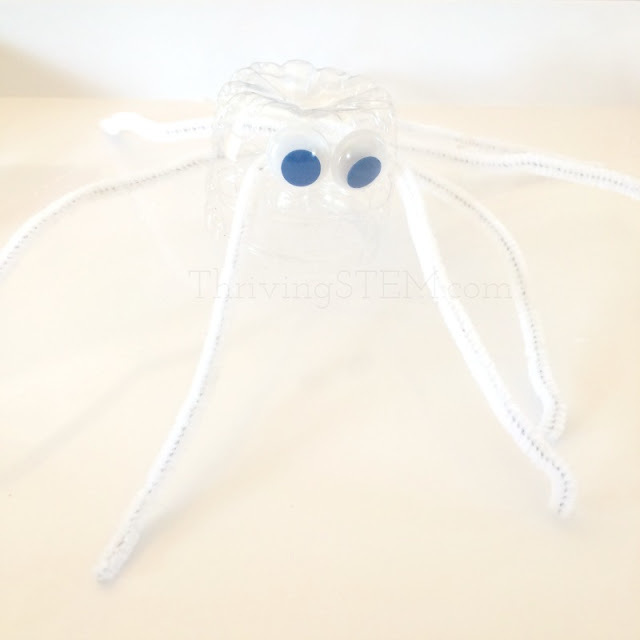 Once the students have finished making their spiders, or on a different day. Instruct each student to write three multiplication sentences based on their own spider. 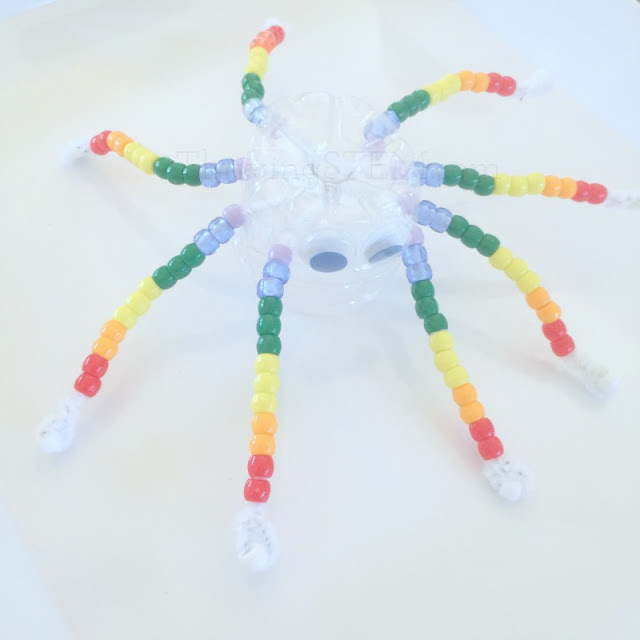 In the chance that one of your students decided to decorate their spider in just one color, he will need to use strategies to find the total number in terms of math that the average third grader knows. Invite your students to exchange spiders, then write three more number sentences on their classmate's spider. Compare answers for cooperative learning. I hope your students will enjoy learn to appreciate spiders as much as I did. For the record, my sister didn't suffer any long term effects from her run in with the spider, and after that I did start taking all the arachnids out doors. Get your printable supply list and directions here. 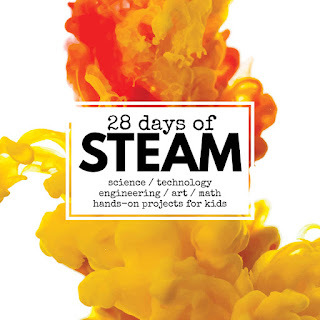 Find more Awesome STEAM activities at Left Brain Craft Brain's 28 Days of STEAM!